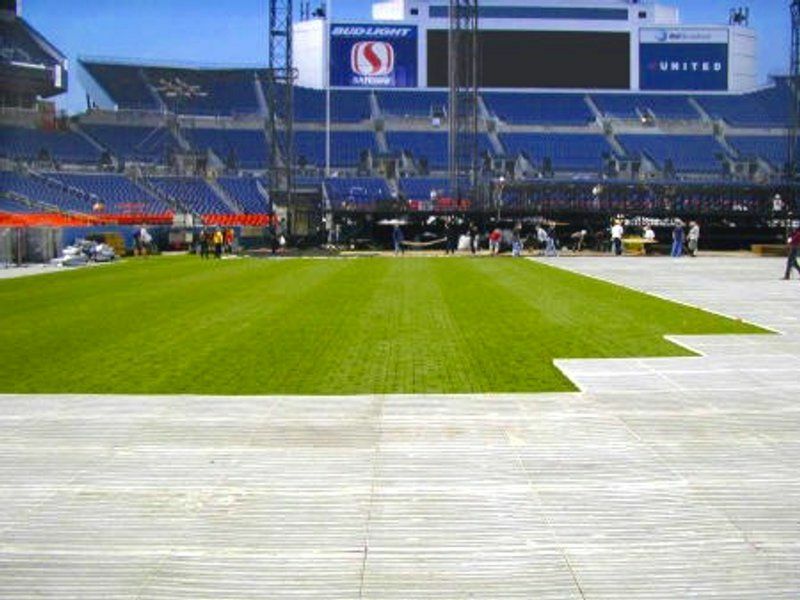 Terraplas turf protection is used in stadia worldwide, enabling them to be multi-purpose special event venues for concerts, exhibitions, dinners and religious ceremonies. Terraplas® is also used extensively in other venues such as public parks, racecourses and stately homes for walkways, exhibitions, show stands and hospitality areas. 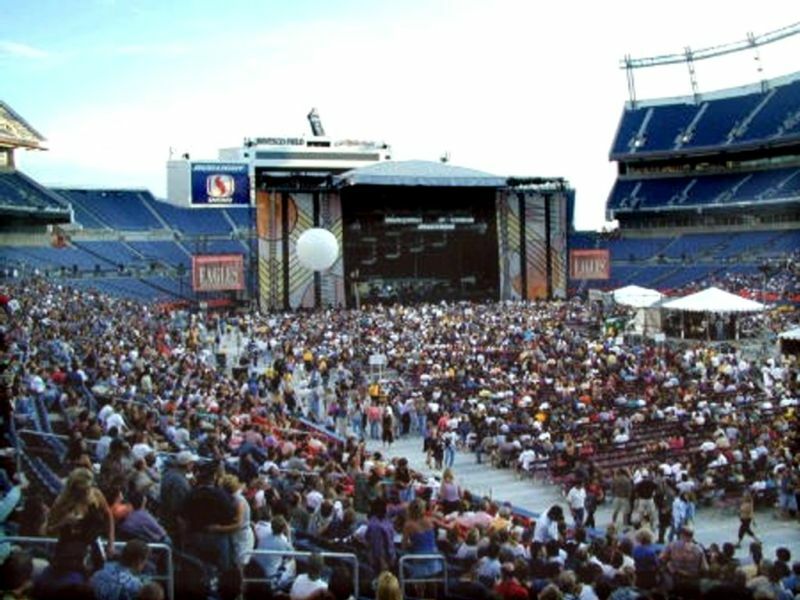 Stage major rock concerts and international sporting events. Allows for the passage of air, light and water. Performs to the highest public safety standard. 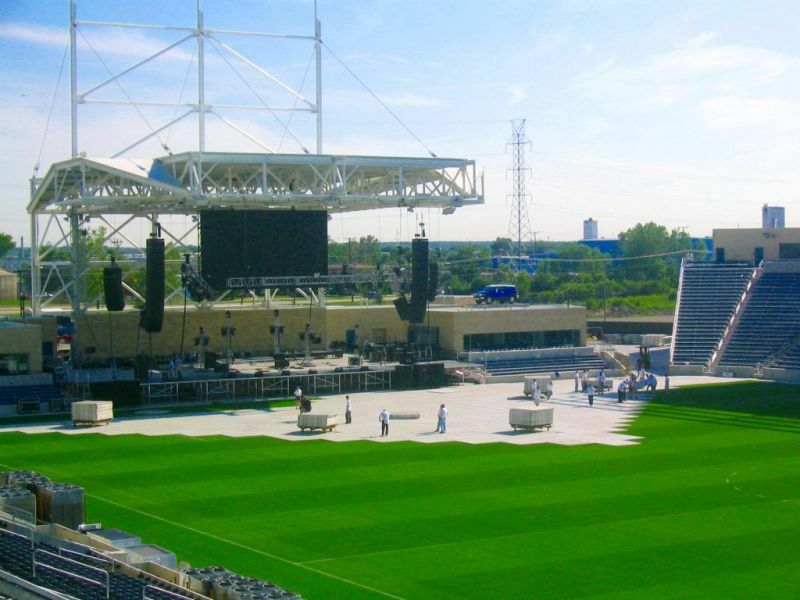 Total pitch protection for your turf from large crowds and equipment. The Terraplas® plc patented system is internationally acknowledged as the only answer when grass needs protection from large numbers of people and tonnes of equipment. 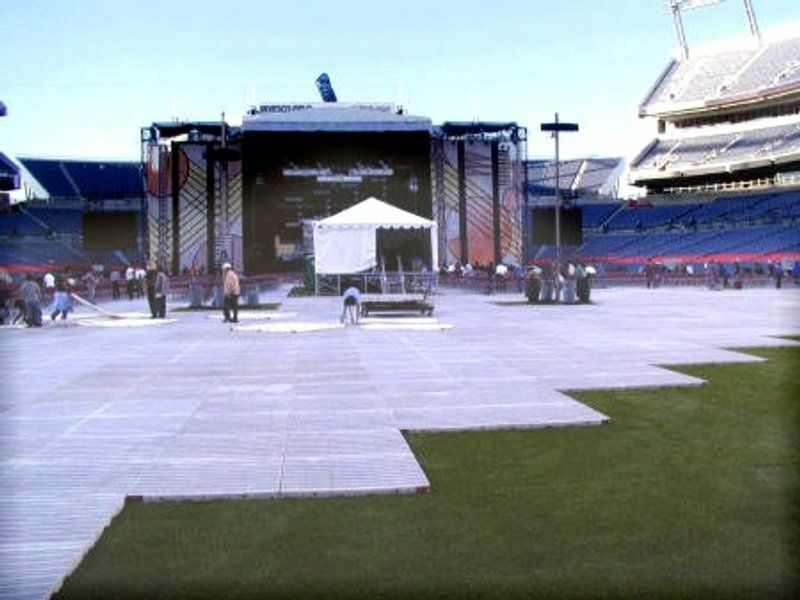 As well as being used for concerts, Terraplas® is used extensively for walkways, exhibitions, show stands, racecourses, hospitality areas and all major sporting events. Dimensions - 1000 x 1000 x 64mm (3ft x 3ft x 2.5ins). Delivered and fitted in panels sizes of 2 metres x 2 metres (6ft x 6ft). Weight - 11.0kg (24lbs) per square metre. Material - Ultra Violet light stabilised high density Polyethylene Co-polymer Grade with narrow molecular weight distribution, specially developed for injection molding of heavy duty articles. Method of Manufacture - Low pressure injection molding using a chemical blowing agent which produces an engineering structural foam molding with a strength enhancing cellular core. Environment - Terraplas® has UV stability for use in all climatic conditions. Working Temperatures - 10°C to plus 40°C. Loading - On normal turf (not hard-standing); 20mm (0.75in) point load 50kgs (109lbs) 15 x 15cm (6 x 6ins) spread load 5000kgs (5 tons). When spread correctly, mixing towers weighing in excess of 100 tons can be accommodated with no problems. Fire Rating - Conforms to all current worldwide standards. Appearance - Natural translucent colour which reflects sunlight, thereby reducing heat build-up and turf damage. Non-slip stripes are in light grey as standard, but can be provided in any colour. Installation Times - Sixteen men lay 1000 square metres per hour, minimum. Storage Requirements - 60m3 per 1000m2 (78 cu. yards per 1094 sq. yards). Cleaning - Cold water high-pressure jet cleaner. Life Expectancy - Terraplas® is guaranteed for five years, but has a realistic life expectancy of twenty years.